Begin in Denver with your head in the clouds in the mile high city. Scale Pike’s Peak, the highest peak in the west, on the cog railroad. Stand in awe in the Garden of the Gods and drive through Black Canyon, where you’ll understand the power of raging water to cut through earth. After a ghost town and some hot springs, you can visit Mesa Verde National Park where the hillsides are virtually covered with the cliff dwellings of the ancients who lived in the region thousands of year ago. Then there’s Utah, with Canyonlands, Capitol Reef, Bryce and Zion National Parks. 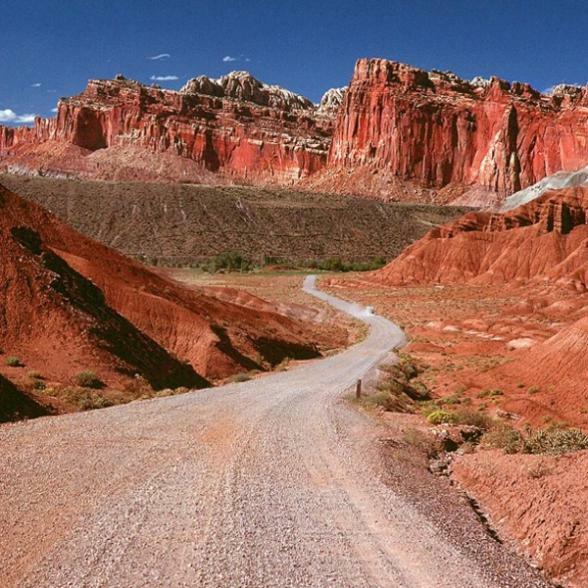 Monument Valley, the Vermillion Cliffs and the Grand Escalante Staircase are lesser known, but no less spectacular. When you’ve explored all this, one more natural wonder, Rocky Mountain National Park awaits. 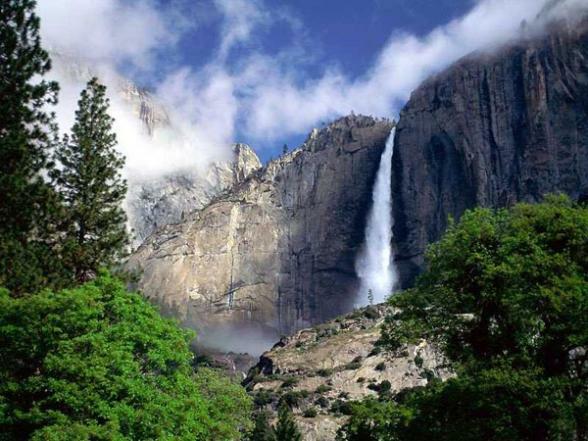 Savour and enjoy your trip through nine national parks. The landscapes couldn’t be more different from the rest of the United States. It is the contrasts that make America so interesting. 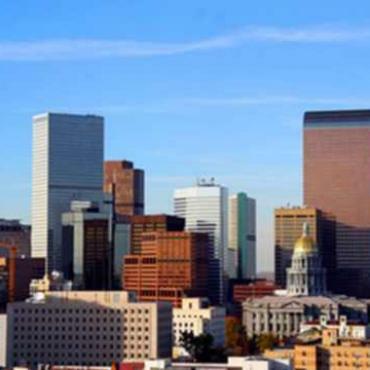 Denver was once a boomtown, born during the great Pikes Peak gold rush of 1859. Every outlaw, lawman and desperado in the West made a visit to the Mile High City. 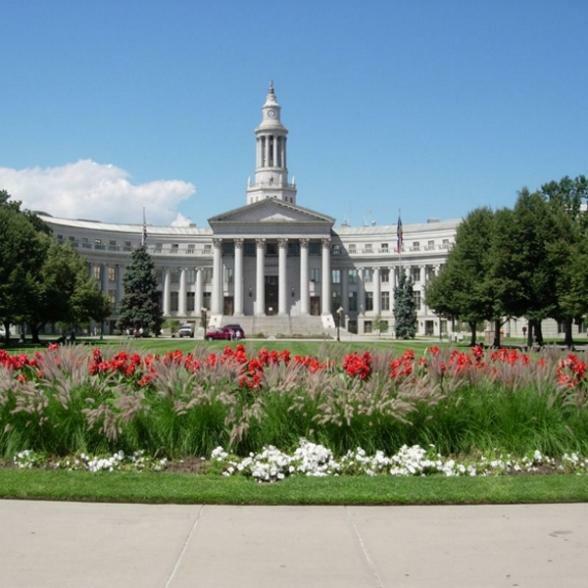 The adventurous mined, the rest of the nearly 100,000 people who arrived within 20 years of Denver’s founding went about building a city that served the miners, ranchers, cattlemen and oilmen. What emerged was a solid metropolis, thriving where so many other western gold rush towns failed. Today, Denver, Queen City of the West, bears little resemblance to the boomtown of yesteryear. The outlaws, lawmen and desperadoes are gone, leaving behind a culture and character that is Eastern cosmopolitan and Western pioneer spirit. Over 500 parks and green spaces grace the city, softening the landscape of high rises, turn of the century brick structures and bustling streets. Home to the most educated population of any major city in the United States and with a performing arts center second only to Lincoln Center in New York City, Denver has amassed the finest in its heritage to share with visitors. Reflecting the contributions and collections of outlaws, cattle barons, prospectors who struck it rich, cowhands, Native Americans and local gentry, the museums of Denver have captured the panorama of culture that exists in the region. Soaring high above the earth, Pikes Peak, at 14,110 feet, rises well above the timberline and into the clouds. 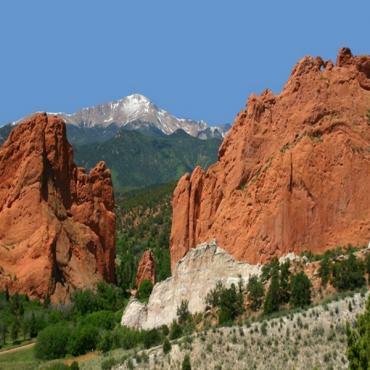 Couple that with the Garden of the Gods, the United States Air Force Academy and the Cave of the Winds, all in Colorado Springs, and you’re about to have an adventure that’s truly up in the air. Majestically luring in the distance, the Peak has been a magnet for visitors for nearly 1000 years. 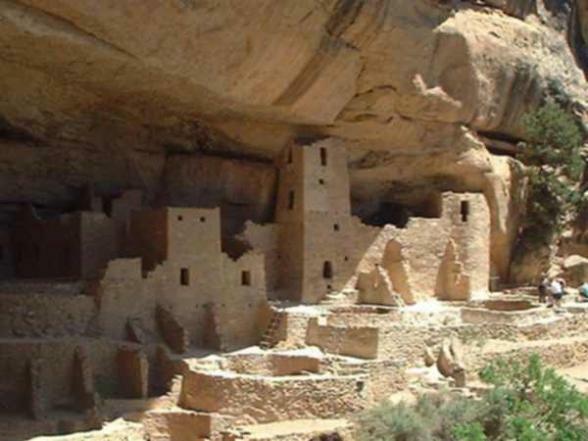 Settled first by the prehistoric Cliff Dwellers from the Mesa Verde, the area also drew the Ute Indians, Coronado, the famous Spanish explorer, the French explorer LaSalle, and Franciscan friars seeking a route from Mexico to the California missions. During the 1850s, Pikes Peak or Bust! became the mantra of pioneers as they travelled to the edge of the Great Plains, where the mountain represented the gateway to the West and the land of new possibilities. When gold was discovered in Colorado in 1858, thousands of fortune seekers arrived. Soon after, pioneers settled into the area, creating the towns that we visit today. By the end of the century, Colorado Springs was a popular resort and elite community of tycoons who had made their fortunes in the nearby gold mines. You can expect a very scenic drive today as you travel portions of five Colorado Scenic Byways on your way to Alamosa. The Gold Belt Tour takes you through old mining towns and Canon City, home to the Royal Gorge Railroad. Also along the way you can explore the strong arts community and Historic Arkansas Riverwalk in Pueblo on the Frontier Pathways Byway which also illustrates early settlement in Colorado. Los Caminos Antigous is the National Scenic Byway closest to Alamosa. 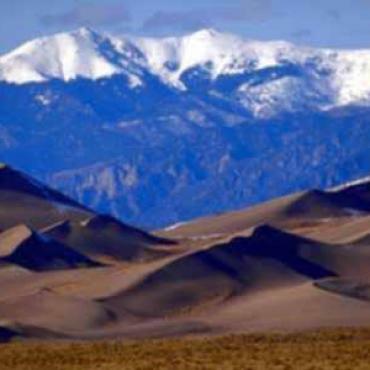 Just north of Alamosa, Great Sand Dunes National Park, features the tallest sand dunes in America, set against the dramatic silvered alpine peaks of the Sangre de Cristo Mountains. 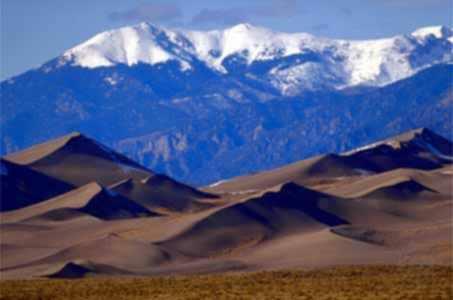 The story of how the dunes emerged in the middle of the Rocky Mountains is still emerging. In 2002, scientists discovered lakebed deposits on the hills in the southern part of the valley, confirming that a huge lake once covered much of the region. Sand that once resided on the lake bottom began blowing into waves toward a low curve in the mountains. Opposing winds caused the dunes to grow vertically. The process, which began about 450,000 years ago, still continues today. The entire route between Alamosa and Durango is a scenic road through the San Juan Mountains. When you reach Durango, if you think you’ve seen it before, it’s the picture perfect Old West town that has starred as the background for Butch Cassidy and the Sundance Kid, City Slickers, Cliffhangers and many other movies. So authentic that you might expect a gunslinger to step right into the street any minute. The nightly show at the Strater Hotel is right out of the old West. 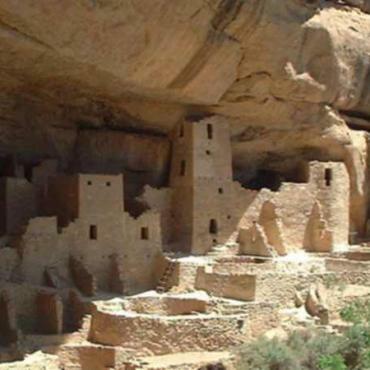 Today, you are likely going to want to spend the day at Mesa Verde National Park, an expansive dugout area sheltered by massive rock cliffs covered with adobe brick houses that appear to be the individual home units of ancient cliff dwellers. Grab your sense of adventure as you go up and down ladders and through the tight spaces of Cliff Palace, the largest dwelling area. The 6-mile Mesa Top Loop Road driving tour takes you through 700 years of Mesa Verde history. 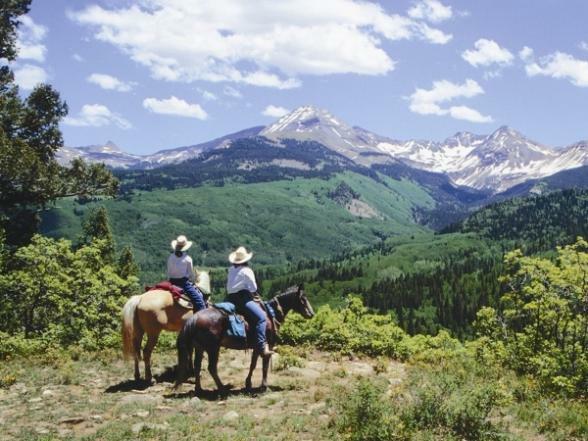 If scenery rather than archeology is your interest, ride the Durango and Silverton Narrow Gauge Railroad up into the San Juan Mountains. 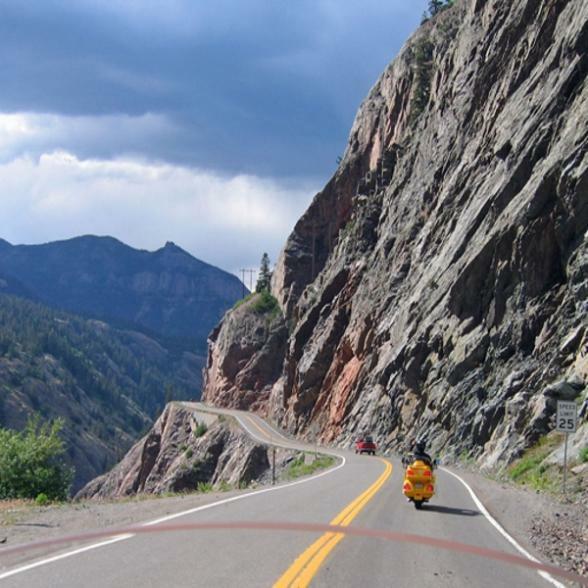 Or you can drive the San Juan Historic Scenic Byway, a spectacular loop through the rugged mountains of Southwest Colorado, where travellers pass through 14 summits above 14,000 feet. The route is both a trip through stunning mountains and geology, and a journey through history, from the ancient cliff dwellings of Mesa Verde to the mining and railroad history in romantic Victorian towns. 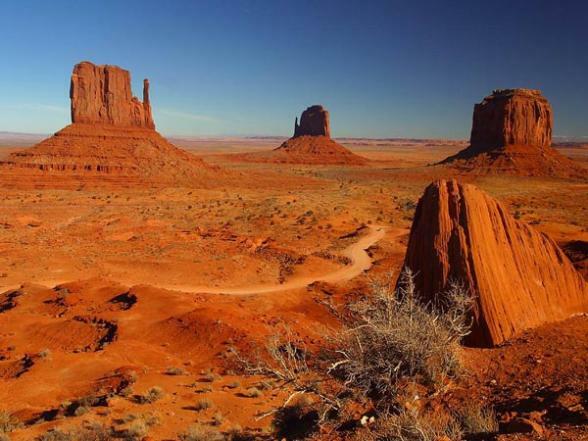 Monument Valley is not a valley at all, but a wide, flat, sometimes desolate landscape with red mesas and buttes jutting hundreds of feet in the air. This dramatic natural architecture is made up of the surviving remnants of sandstone layers that once covered the region. Some rise up as far as 1,000 feet. Because this magnificent area has been so well filmed and photographed over the years, it may seem quite familiar, even on a first visit. It is soon evident, though, that the natural colours really are as bright and deep as those in the pictures. As a Navajo Tribal Park, Monument Valley is still very much home to the Navajo, a traditionally nomadic and adaptable people. Traditional lifestyles and ceremonies coexist today with modern facilities, technology and livelihoods. The tribe maintains a visitor center, operates tours into the Valley, and oversees the area to ensure its preservation for future generations. Much of the Park can be seen best by taking the 17-mile Valley Drive, a dirt road beginning at the visitor center and heading southeast past spectacular towering cliffs and mesas. Eleven marked stops at scenic places guide visitors along the route, which takes about two hours to drive. Goulding’s Trading Post was established in 1923, and today provides basic visitor services and houses Goulding’s Museum. 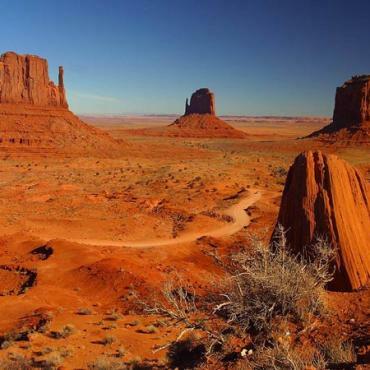 The Museum features movie-making memorabilia from the John Wayne movies that were filmed in Monument Valley including a set from She Wore a Yellow Ribbon. Movies continue to be filmed against this dramatic backdrop. Also on display are artifacts from Navajo settlements in the area. 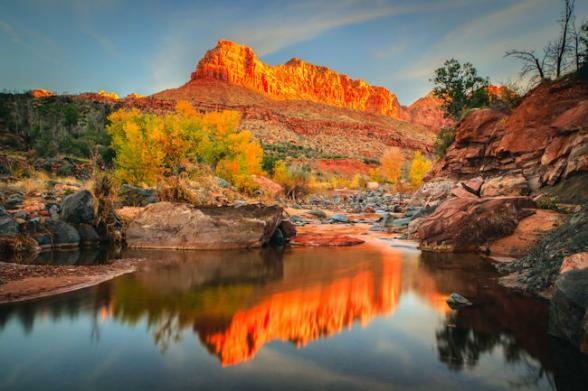 Zion National Park, it has been said, is where the grandeur of natural form unites with brilliancy of colour. From sunrise to sunset, the changing scenes pass before you in awesome hues as light plays upon the rock, immersing you in a dazzling light show. 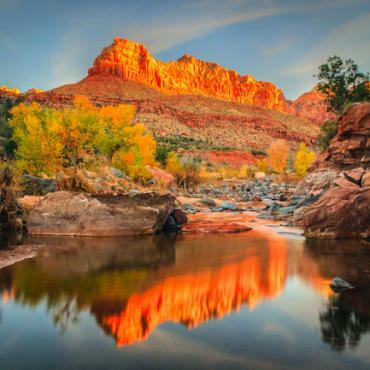 Zion, located along the edge of a region known as the Colorado Plateau, perhaps represents the best transition of the landscape from the majestic silver of the Rocky Mountains into the red sandstone of the American Southwest. As you travel between Zion National Park and Bryce Canyon, and further north into Utah, the rock layers are a series of stair steps referred to as the Grand Staircase. The bottom layer of rock at Bryce Canyon is the top layer at Zion and the bottom layer at Zion is the top layer at the Grand Canyon. In Zion, there is a free shuttle that travels throughout the park and stops at eight locations. 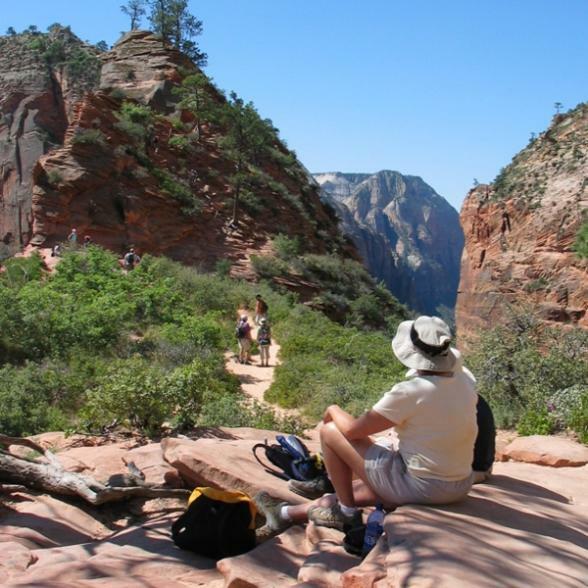 The transfer of passengers between loops is made at the Zion Canyon Visitor Center. You may get on and off the shuttle as often as you like. You can also visit the Zion Human History Museum, a regular stop on the Zion Canyon Shuttle. Permanent exhibits display the rich human history of Zion National Park, showcasing American Indian culture, the historic pioneer settlement, and Zion's growth as a National Park. The Human History Museum also illustrates the effects of water on Zion, both as creator and destroyer. In addition, a 22-minute video, shown every half hour, provides an excellent overview. There is another Visitor Center at Kolob Canyon, located in a second, less visited section of Zion National Park. Save a bit of time to explore that area as well. Famous for its unique geology, the Bryce Canyon National Park is not really a canyon, but a series of horseshoe-shaped amphitheaters carved from the eastern edge of the Paunsaugunt Plateau. The eroding force of frost coupled with the dissolving power of rainwater has shaped the colourful limestone rock of the Claron Formation into bizarre shapes including slot canyons, windows, fins, and spires called hoodoos. 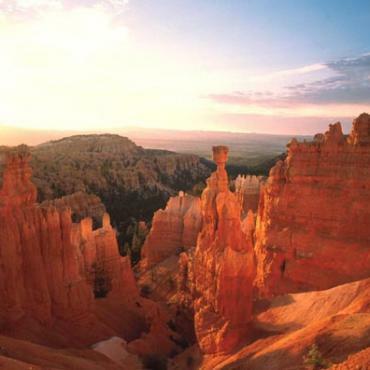 A number of day hiking trails lead to extraordinary views of the unique formations in Bryce Canyon. Easy hikes include a streamside walk and views of hoodoos from above. Moderate treks take you to the latest rock slide, the Hat Shop - a series of balanced-top hoodoos, and Swamp Canyon, one of the lesser known areas of the Canyon. If you’re up for a strenuous hike, choose from Fairyland, Peek-a-Boo and Riggs Spring Loop, or link one or more of these trails together for an excellent hiking adventure. Another way to explore Bryce Canyon is by horse or mule. 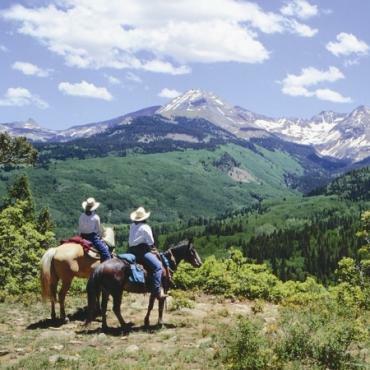 Canyon Trail Rides offers two-hour or half-day rides into the heart of the Canyon, allowing you to view many of the Canyon’s natural masterpieces up close and personal. 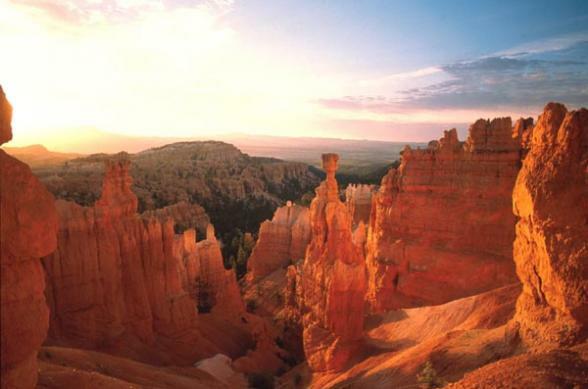 As with most National Parks, your first stop should be at the Bryce Canyon Visitors Center to get an overview of the Park. A Geology Talk about the hoodoos, ancient lakes and frost wedging is given each day at either Inspiration or Sunset Point. A ranger-led one mile round trip on the Rim Walk lasts about an hour and a half and delivers great views, fascinating plant and wildlife stories, a touch of geology, and a smattering of cultural history. Named by early pioneers because the formations reminded them of the rotunda on the nation’s capitol, Capitol Reef National Park offers a brilliant array of colored cliffs, domes, canyons and arches. The main geological feature is a 100 mile long Waterpocket Fold uplifted by shifting earth millenniums ago. In addition to its interesting geological features, the park is home to a great diversity of wildlife. Keep an eye open for bird species such as loons, hawks, falcons, vultures, geese, herons, grebes, egrets and pelicans, and members of the park’s thriving reptile and amphibian population, including boas, lizards, salamanders, frogs and toads. Take the park’s scenic drive and marvel at the sliprock scenery that has made it famous. Along the way, trails lead to overlooks, canyons, and arches. The park also has pioneer features that include historic orchards and the old Fruita Schoolhouse. Canyonlands National Park is one of the last relatively undisturbed areas of the Colorado Plateau, a geological province that encompasses much of the Colorado River and its tributaries. Carved out of vast sedimentary rock deposits, this landscape of canyons, mesas, and deep river gorges possesses remarkable natural features that are part of a unique desert ecosystem. The foundation of Canyonlands' ecology is its remarkable geology, which is visible everywhere in cliff profiles that reveal millions of years of deposit and erosion. For day trips in the Park, Island in the Sky is the easiest and most accessible district to visit in a short period of time. The area offers expansive views from many overlooks along the paved scenic drive, as well as several short hiking trails. Many overlooks along the scenic drive are perched 1,000 feet above the surrounding terrain, providing spectacular views of the canyons below as well as the other districts. Several short trails, including Mesa Arch, Upheaval Dome and Aztec Butte, lead to interesting natural and cultural resources. Plan to drive out to Grand View Point. 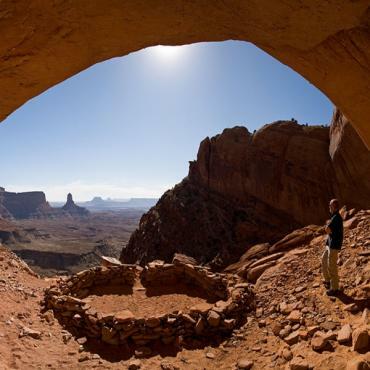 If time permits, there are many things to see and do in the Moab area. It’s interesting to contemplate the forces of nature that created the landscape of Arches National Park. Over 2,000 structures range in size from a three-foot opening (the minimum considered to be an arch), to Landscape Arch, which measures 306 feet from base to base. Throughout the park, rock layers reveal millions of years of deposition, erosion and other geologic events. You can explore the many areas of Arches National Park by car or on foot. 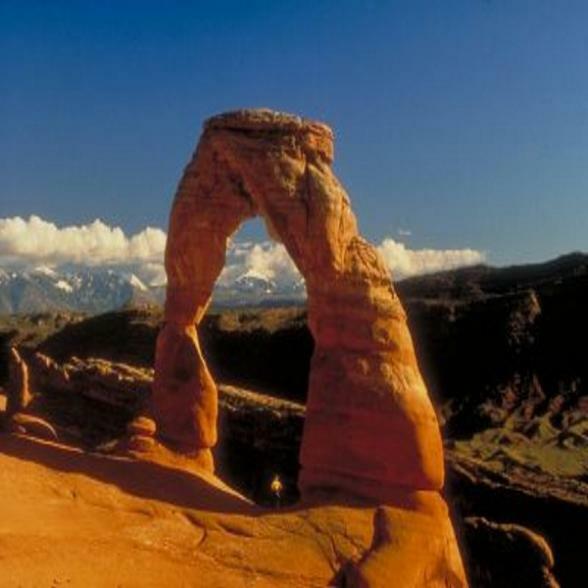 Two drives through the park take you to a number of exceptional viewpoints, including Delicate Arch Viewpoint from which you can see the park’s most famous arch at a distance. Take a moment to get out of the car and walk under the two largest arches, North Window and Double Arch, for a truly up close and personal experience with the landscapes. If you prefer to hike, there are trails to the park’s highlights that take from 1-1/2 hours to a half a day. We suggest that you do the longer hikes early or late in the day to avoid the mid-day heat. 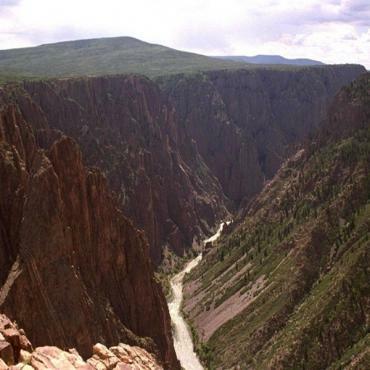 Plummeting as much as 2,700 feet almost vertically from it’s rim, Colorado’s Black Canyon of the Gunnison is one of North America’s steepest, darkest and most rugged gorges. Geologists believe that the rolling Gunnison River took its present course 10 to 15 million years ago, about the same time as the start of a period of rapid uplift in the Colorado Plateau. For several million years the river cut through soft sedimentary layers left by the uplift, wearing down to the older and harder igneous layer about 2 million years ago. Since then, the river has eroded rock at the rate of about an inch per century, carving the precipitous Black Canyon. In 1999, Congress permanently protected 14 miles of the deepest part of the canyon by establishing the 30,300 acre Black Canyon of the Gunnison National Park. Just below the rim, niches in the craggy walls harbor wildflower gardens as well as perches for bighorn sheep and peregrine falcons. Along the canyon bottom, cottonwood, box elder and chokecherry shade trophy rainbow and brown trout. 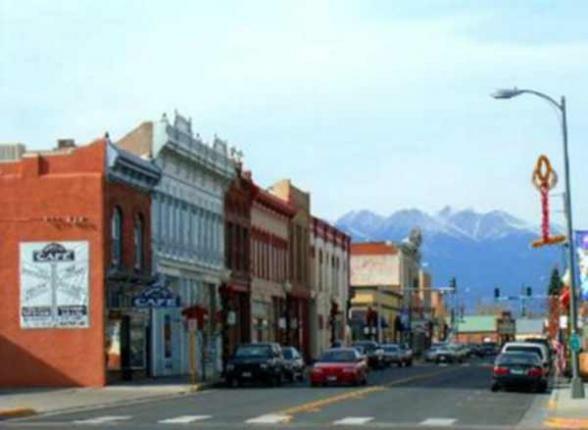 Located in the central Colorado Upper Arkansas River Valley, Salida, Colorado exemplifies the quiet high quality lifestyle that the state is so famous for. 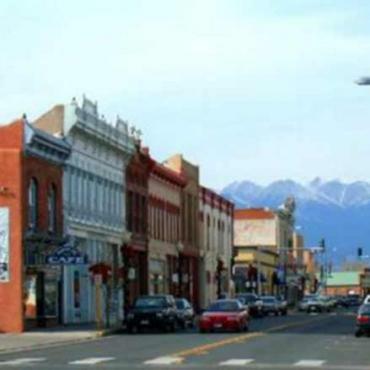 In late 2008, Diversion Magazine called Salida one of the 10 best places you’ve never heard of. Outside Magazine called it a sweetly unpretentious town and one of 20 Dream Towns and Adventure Hideouts. Salida is also ranked as one of America’s 100 Best Small Art Towns. It is surrounded by the Sawatch Range, sometimes referred to as the backbone of the continent. The early surveyor Hayden called the range one of the grandest eruptive masses on the continent. The range averages about 20 miles in width and stretches for 90 miles. 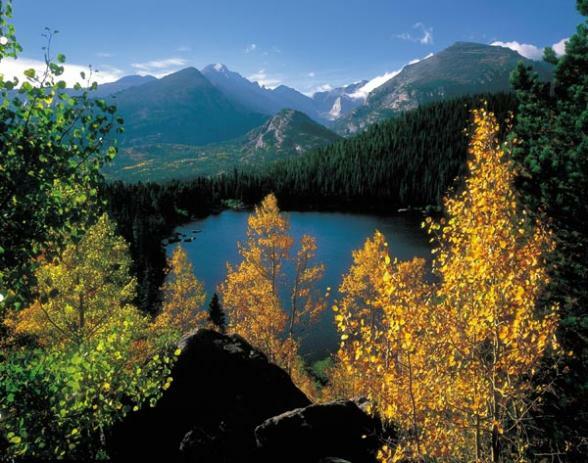 Not far from Denver, Rocky Mountain National Park is a living showcase of grandeur with countless breathtaking vistas ranging from 8,000 to 14,259 feet. You’ll also see delicate alpine flowers, clear lakes, rushing mountain waters, bighorn sheep, ptarmigan, coyote, and elk. 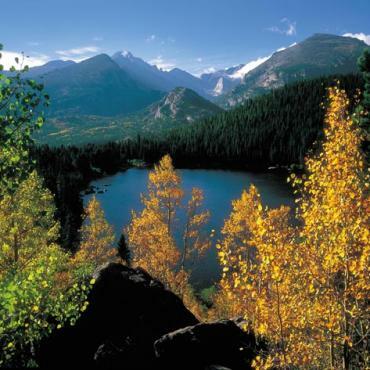 The incredibly scenic park roads within Rocky Mountain National Park offer access to the diverse ecosystems that characterize the higher regions of the central Rocky Mountains, making them the principal attraction for many visitors. Travelling through meadows and by rushing streams at low altitudes and rising through sub-alpine forests to elevations over 12,000 feet, Rocky Mountain National Park’s roads offer visitors a unique extended and varied experience. Scenic vistas and overlooks allow visitors to take in the park’s awe-inspiring landscapes. Take your time and savour the views. Winding through the forests and mountains of the Rocky Mountain National Park, Trail Ridge Road/Beaver Meadow Road encompasses over 50 miles of beautiful landscapes. Stop at the overlooks that line the byway for magnificent yet different vistas of the Rocky Mountains, which tower at more than 14,000 feet. Take a short five-minute stroll at the Forest Canyon Overlook and marvel at the view of Forest Canyon, Hayden Gorge, and Gorge Lakes. Stand on the roof of the Rockies at Rock Cut. Pull over at Rainbow Curve, elevated over two miles above sea level, and see trees transformed by long, repeated exposure to the harsh winds, ice, and grit of this severe environment. At Milner Pass, the byway meets the Continental Divide National Scenic Trail, which crosses approximately 3,100 miles ranging from the Canada-Montana border to the Mexico-New Mexico border. At elevations over 10,000 feet, this trail offers spectacular views of the Rockies and the meadows that lie at their base. Spend a few hours or a few days exploring the Continental Divide National Scenic Trail. 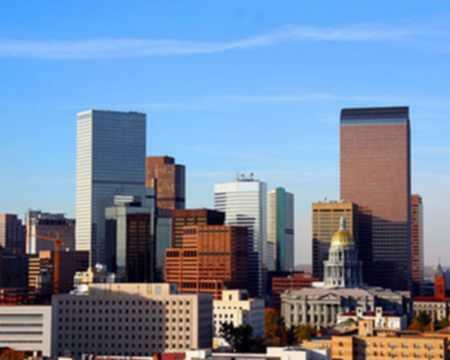 Spend another day exploring Denver before heading home. As you depart Colorado today, be rest assured that you have taken one of the unique journeys in all of America. However your adventure doesn't have to end here, perhaps you may want to extend your stay and spend a few days in Salt Lake City or contrast your trip with a few days in Las Vegas. 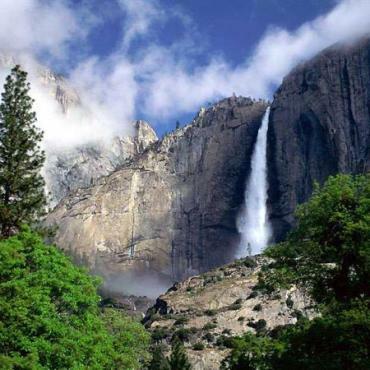 Call the USA experts at Bon Voyage to discuss your ideal Western Parks Extravaganza adventure.